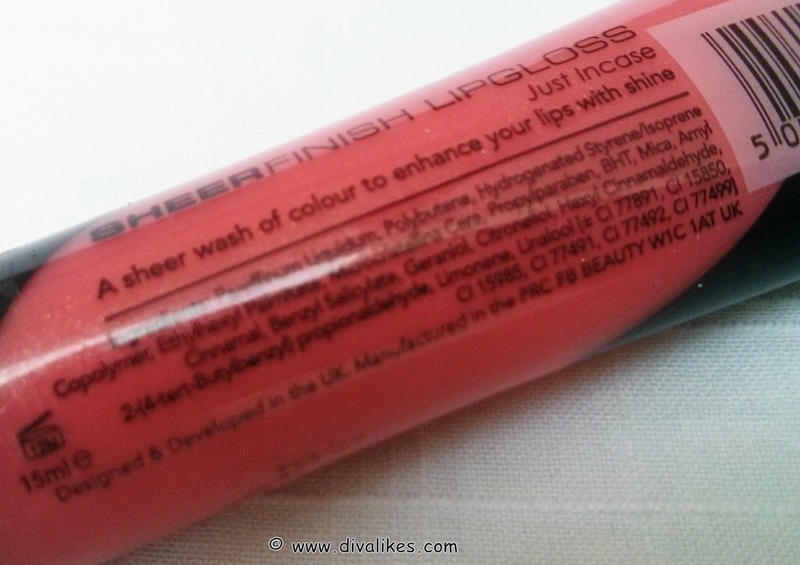 Lip glosses are always great as they can be used on their own. It looks even better when applied over a similar shade of lipstick. Gloss gives life to the traditional matte or moisture lipsticks. If you want a twist to your same old everyday look, just a simple gloss would do the trick. If you want your lip shade to look intense, use a lip gloss. 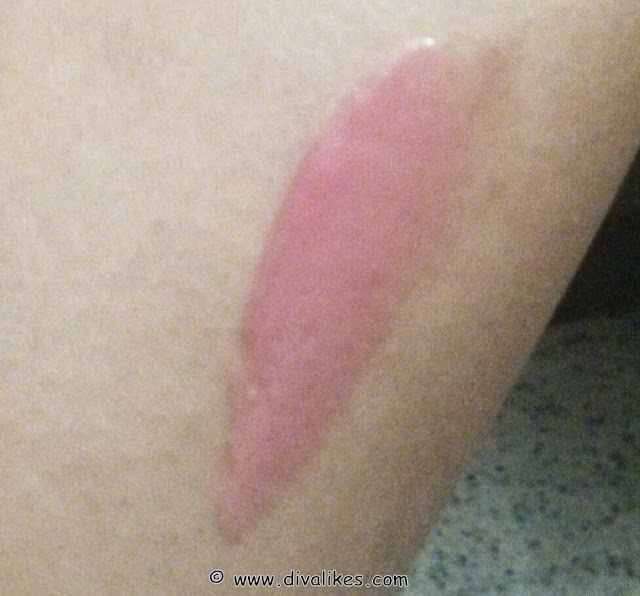 Trust me, gloss is a savior for many. The product I am going to review today is also a gloss. 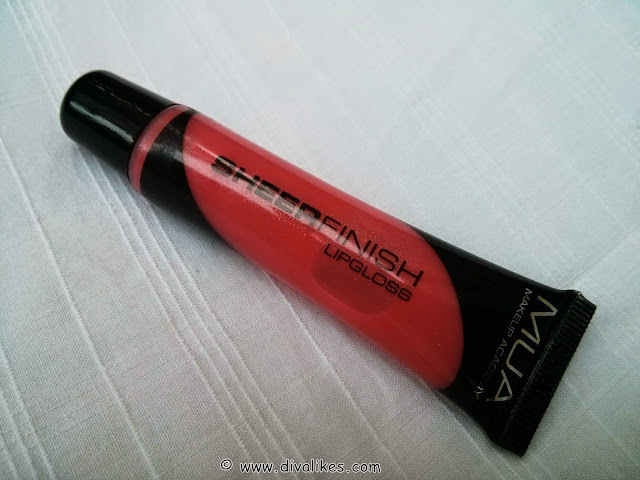 Diva Likes sent MUA Makeup Academy Just Incase Sheer Finish Lipgloss to me and this is my first MUA lip product. I have used MUA mascara before, which I absolutely loved! I was really excited to use this product and see how it fares. Here I am with its review! A moisturising sheer lip-gloss in eight wearable shades with just a touch of sheer colour for an irresistible shine in a squeezable tube applicator to provide a smooth and easy application with a sweet scent. It comes in what I call the traditional lip gloss tube. It is a see through plastic tube with the angular tipped mouth and screw cap. The angular tip has a small opening dispensing the right amount of product and also aids easy application. It is compact, easy for travel and leakage proof – all thanks to the screw cap. The consistency of the gloss is creamy and thick. Even though it is thick, it spreads easily over the lips. The shade is a bright pink with small glitter particles. One thing I love about this gloss is that it does not feel sticky. 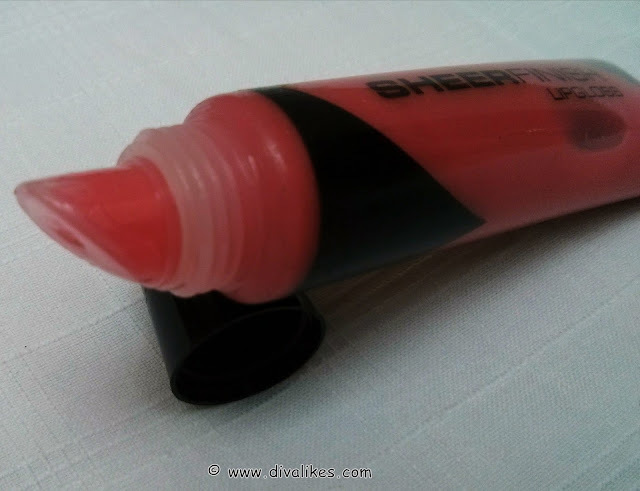 The shade looks sheer in the tube but is actually really transparent with a slight pinkish tint. I wish the shade was a bit dark and not too light. When applied, it gives the lips a glossy finish with a moisturized effect. Staying on for about 2-3 hours, this lip gloss gives a beautiful twist to your daily look. The staying power is less and that is one drawback of this gloss. It can also be applied over your everyday lipstick to give a nice effect. 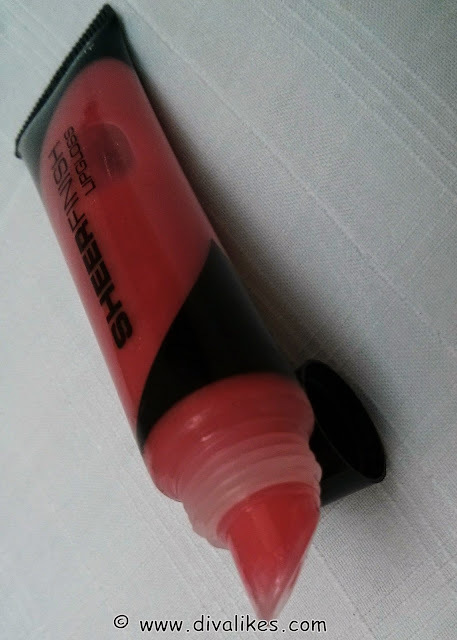 No product wastage as right amount is dispensed from the applicator tip. Pretty shade with a light tint. The gloss doesn't feel sticky when applied. 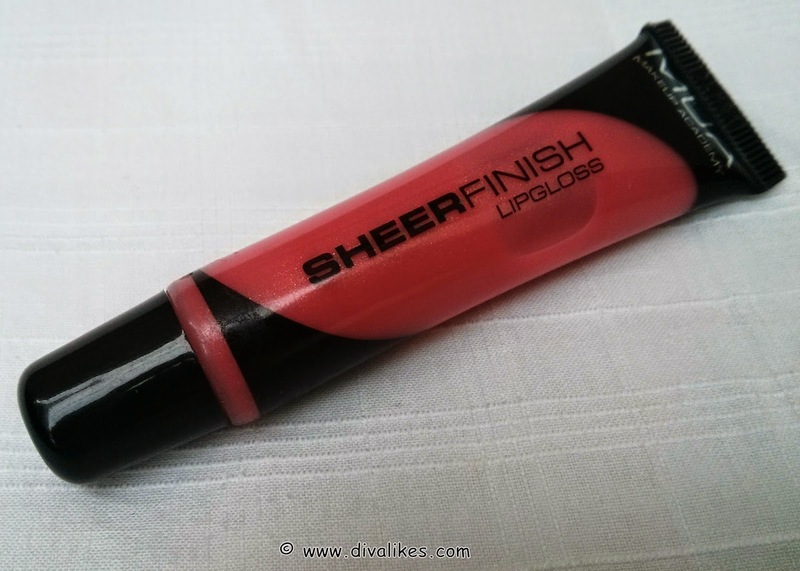 It is a decent lip gloss with some good features. But I wouldn't re-purchase it as I know better lip glosses than this. I guess it is good for daily wear....like the light shade!